Waimea! The name conjures excitement, inspiration and anxiety. Think Waimea, think Surf. Waimea Bay attracts the world’s best big-wave surfers, men who come to test their physical strength, courage, style, knowledge of the water and love of the ocean. The Quiksilver surfing event in Memory of Eddie Aikau invites these rare few to compete in big waves at Waimea Bay, a very special Hawaiian cove that is as filled with history and legend as it is ringed with natural beauty. Waimea Bay is as Eddie Aikau was, rugged, strong, beautiful and pure Hawaiian. The contest at Waimea Bay to honor Eddie is done in harmony, with the awareness that Eddie Aikau is watching over the event, his big Hawaiian face smiling down from the heiau that overlooks Waimea Bay, making sure they get everything right and that the surfers go hard, but go safe. There is a wide selection of places to surf within Hawaii. 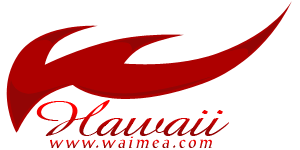 Take Maui for instance, if you would like more information on Maui surfing locations visit our Maui surfing page. The Quiksilver in Memory of Eddie Aikau offers a $50,000 first prize to the world’s best big- wave surfers, daring them to go to places on a Waimea wave where men rarely go. At its best, the Eddie Aikau Memorial is as dramatic as any sporting event on earth. It is men taking chances inspired by glory, pride and the memory of Eddie Aikau, competing within a spectacular natural amphitheater. The first Eddie went off on Sunday, February 21, 1987. Waimea Bay was a solid 20 feet, perfect size and perfect direction with strong onshore winds marring otherwise ideal conditions. If the ocean surface was maybe a little too ruffled, the contest ran smoothly. Using a format that has held true to this day the 33 invited surfers competed in two rounds of three heats, 11 surfers in a heat. There were no injuries and no rescues. In the end, Mark Foo and Clyde Aikau were tied for first and they had to go to the next highest-scoring wave to determine the winner. Clyde won, a fitting tribute to his brother. 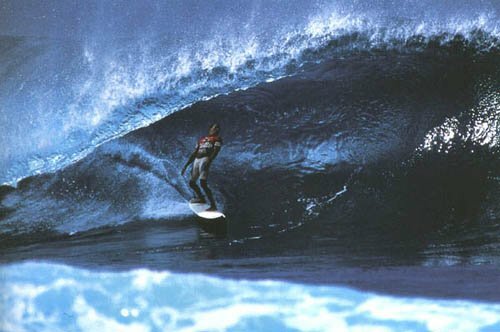 Four years later, on January 21, 1990, the second Eddie went off in epic, offshore, 25-foot plus surf. This was giant, end-of- the-world Waimea Bay, huge, deep blue waves blotting out the horizon and daring the world’s best big-wave surfers to maintain position and catch one. Kerry Terukina, Richard Schmidt and Brock Little all made names for themselves with all out effort charging, in challenging conditions. But it was Keone Downing, whose smart positioning and smooth drops took the day. Downing won the $50,000 first prize, and the second Eddie set a standard for gladiatorial surf that has proved difficult to match. 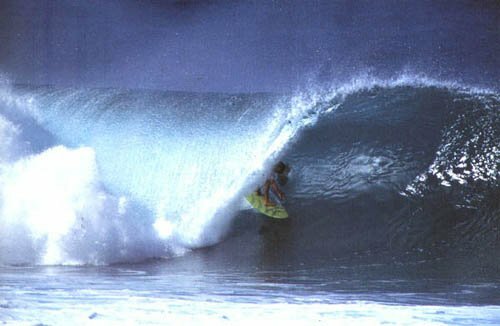 On December 29, 1995, a 25-foot swell hit the North Shore around midnight and raged until dawn. At dawn, George Downing was on the beach along with 33 competitors. The swell was clearly dropping, but Downing thought there might be enough sets left to hold the event. The first round ran in Eddie-quality surf, 20-foot plus, big and blue. But by the end of the first round, the swell was clearly dropping. Downing decided to call it off, hoping for another Eddie swell by the end of winter that would allow him to run the second round. It didn’t come, and so the total prize-money for the "half an Eddie" was divided equally among the 33 contestants. For the winter of 1997/98 surf forecasters were predicting that El Nino would kick up more than enough surf to finally call the Eddie. More than enough was exactly right. 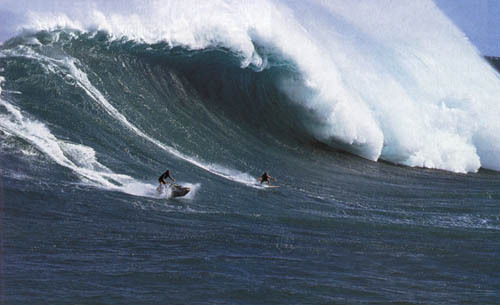 On January 28, 1998, a huge winter swell overwhelmed the North Shore of Oahu. This was one of the biggest swells anyone had seen in decades. Waimea Bay hit and exceeded the 30 to 35-foot mark, and the question became, "Would Eddie go?" As the ocean thundered non-stop, George Downing and a crew of nervous competitors watched the surf for two hours before deciding that it was all too dangerous.